I wrote this on November 17 as one of my article of the week reflections for school. I hope you like it. When you comment on my blog, put the things that you are thankful for! There are a ton of things in the world that people should be thankful for, and I am one of those people who are thankful. One thing I am thankful for is my pets, because they are loving, kind, very nice, and they bring energy to our house. When my day is going rough, it’s good to have a cat along your side, or my big, huge dog. My family is another thing I’m grateful for, because they take care of me, they keep a roof over my head, they make sure I’m doing well in school and they help me if I mess up on something. I’m especially grateful that my mom and dad AND my mommom all live with me because I know some people don’t have all that. 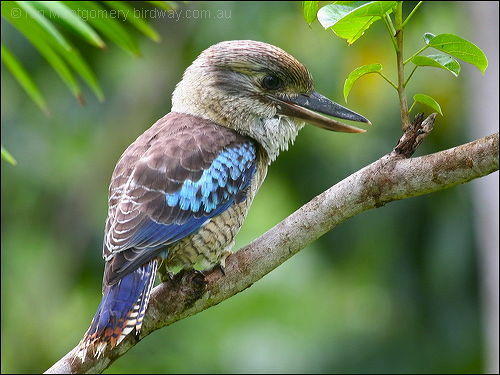 This is a blue-winged kookaburra that lives in Australia. I’m thankful for Australia because they have my favorite bird family, which is kingfishers. In the kingfisher family is the kookaburra, my favorite bird. I’m glad Australia has a habitat for those birds, because it has a lot of trees and beaches and water. Also, I’m very thankful for books. Books give you an education just by reading and learning about things through words. In our house we have a LOT of books. Cars are definitely something I’m thankful for, especially the Mini Cooper that I really like. If we didn’t have a car it would be really hard for us to get places, especially the ones that are further away. I’m thankful for education. Some kids in some areas would like to have the spot that kids here are in, with the opportunity to go to school and get an education and they don’t. That’s really sad that they don’t get to learn when they’d like to, but they can’t because some of their families are poor. So I’m glad I can learn. I am thankful for the stars. You can see different things in them like the Big Dipper, the Little Dipper, the Milky Way galaxy and other things. They’re bright, like extra lights around your house at night. The SPCA is something I’m very glad we have. 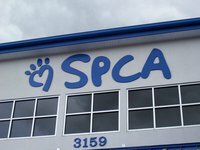 The SPCA rescues animals that are neglected, abused and have no homes. It has a whole area for cats and another one for dogs. I’m most grateful that they let you adopt the animals for a good price, like buy one get one free cats, which is how we got Mr. Bill, one of our cats. I’m thankful for National Geographic. It does a lot of different things for animals, like helping endangered species not become extinct. An example of what National Geographic does is that it helps big wild cats, like tigers, lions and cheetahs. They also have some of the best pictures of wildlife because they’re taken by professional people. And one other thing I’m thankful for is the trash and recycle trucks. The reason I am very thankful for them is because they help our world become a better place for people to live. It might be a nasty job for people to have to do, but it’s really helpful and important and I hope that they know that. One time our bus stop even thanked them as they were picking things up and they said you’re welcome. As you can see, this is just some of many reasons why to be thankful. Our world has a lot of good things to make it a better place! November 17, 2011 October 13, 2014 SarahComments are off for this post. Sarah: Mom and I are thankful for YOU. You are wonderful, and kind to others, and smart, and cheery. We are thankful every day that we have a special daughter like you! You’re the best!